Rev. Matthew Noonan, CSV, who spent 30 years teaching history to high school and college students, died May 23, 1971 of a cerebral hemorrhage. He was 55. Fr. Noonan was born on Oct. 3, 1915 in Chicago to Irish immigrant parents. He was the seventh of eight children, and even as a young boy in parochial school, he declared his wish to become a priest. Fr. Noonan graduated from St. Ignatius High School in Chicago before attending St. Viator College in Bourbonnais. He entered the Clerics of St. Viator in 1935, pronouncing his first vows in 1936 and final vows in 1939. He was ordained to the priesthood on June 12, 1943 at St. Viator Church in Chicago, by the late Cardinal Samuel Stritch. In 1940, Fr. 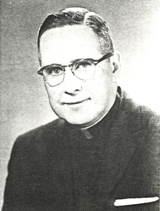 Noonan attended St. Louis University, where he earned his Bachelor of Arts degree in history, before he went on to earn a master’s degree in 1944, in history from Catholic University of America in Washington D.C.
Fr. Noonan taught history for 30 years at a series of high schools and colleges, including: Fournier Institute in Lemont, IL; Cathedral Boys High School in Springfield, IL; St. Philip High School in Chicago; St. Patrick High School in Kankakee; St. Thomas Home in Savannah, Georgia; and for seven years (1963-1970) at Spalding Institute in Peoria, before going to Marian Catholic High School in Chicago Heights, his last year. Fr. 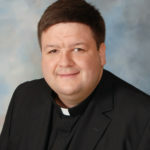 Noonan also held brief parish assignments at St. Lucy Church in Chicago; Sacred Heart Parish in Goodrich, IL; and he assisted at St. Patrick Church in Kankakee. He also taught at the DePaul University School of Commerce from 1946-1948. The wake for Fr. Noonan was held at the Theis Funeral Home in Chicago on May 24 and 25 with a liturgical wake service at the funeral home at 8 p. m. on May 25. Fr. Patrick Hayes, CSV, gave the homily. 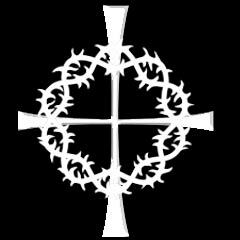 A Requiem Mass for Fr. Noonan took place May 26 at St. Viator Church in Chicago. Fr. Edward Anderson, provincial of the Clerics of St. Viator, was the principal celebrant and Bishop Thomas J. Grady, Auxiliary of Chicago, also presided. Fr. Joseph Tremonti, CSV, gave the homily. Burial Rites were at Queen of Heaven Cemetery in Hillside, IL. Fr. Noonan was preceded in death by his parents, Daniel and Theresa Craig Noonan, a sister, Mrs. Marie Thomas Moore and a brother, Donal. He was survived by three sisters, Mrs. Helen Edwin Ryan Blake, Mrs. Winifred Bresingham and Mrs. Rita Boland and two brothers, John and Thomas.